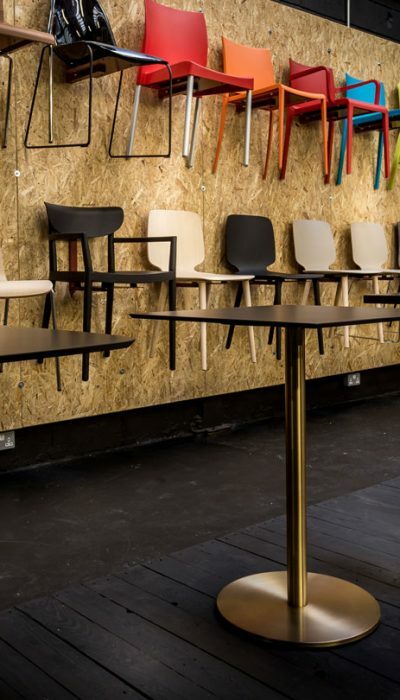 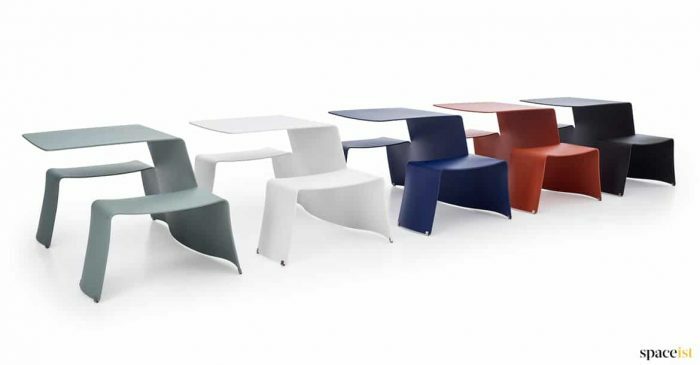 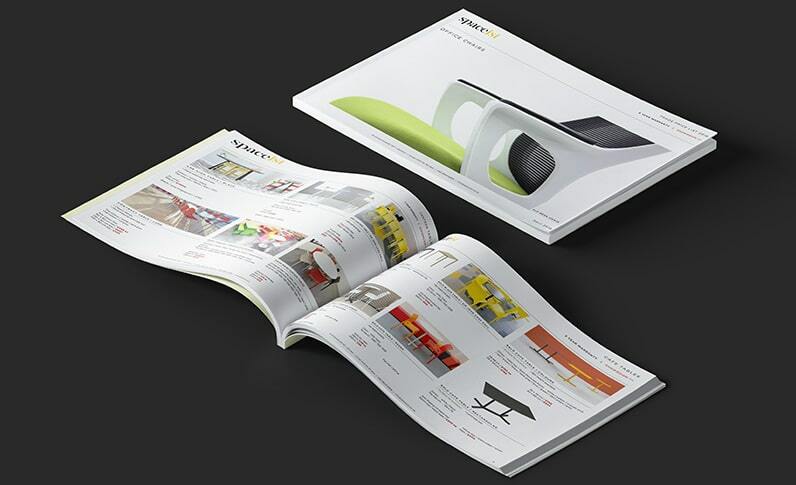 Categories: Canteen benches, Soft-bench canteen range, Soft-bench canteen range. 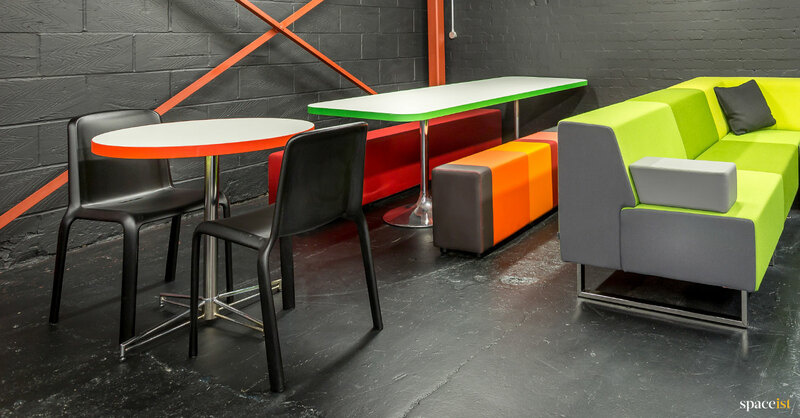 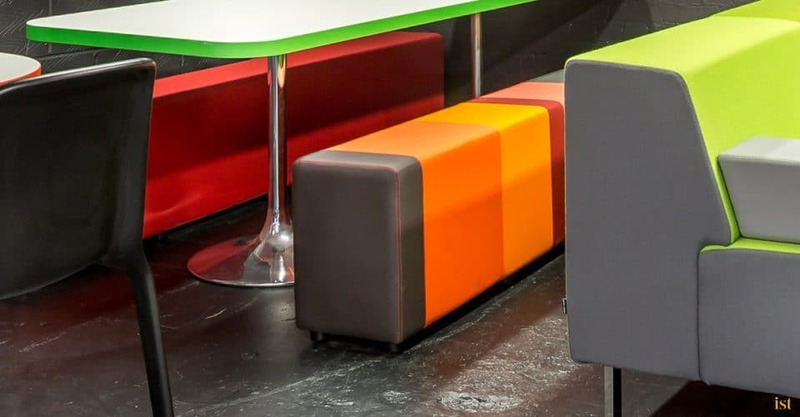 The Soft-bench canteen stripey bench comprises of various coloured vinyl stripes. Any combination of colours can be selected plus the amount of stripes can be changed. 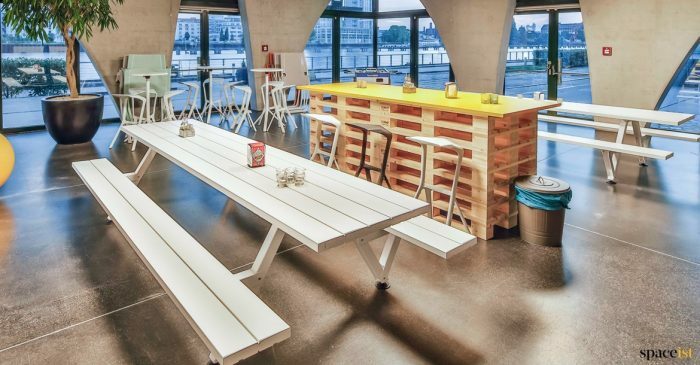 The benches are made with crib5 foam and vinyl. 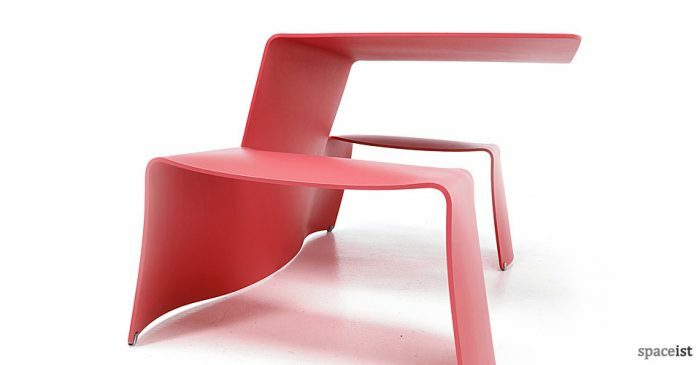 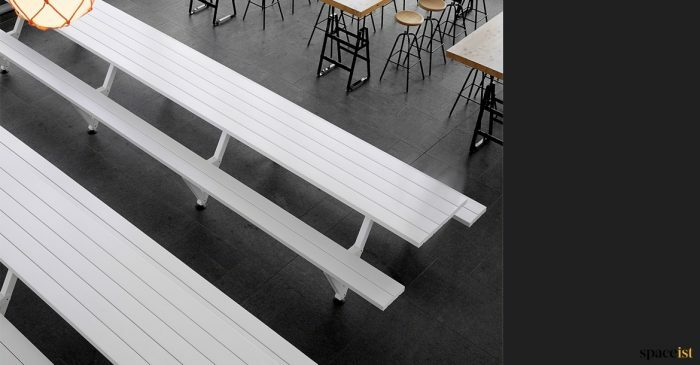 Marina is a picnic table in its most basic shape and made out of pultrusion fibre glass profiles. 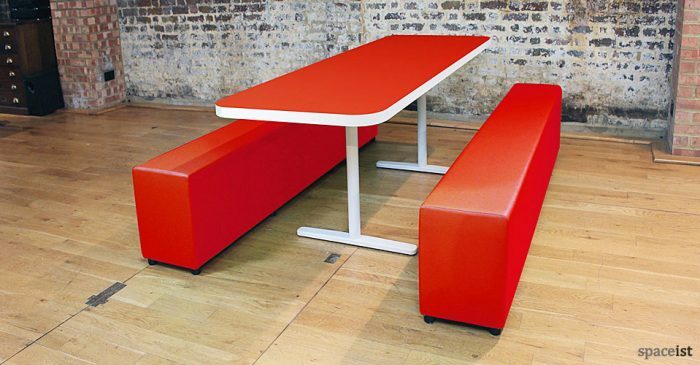 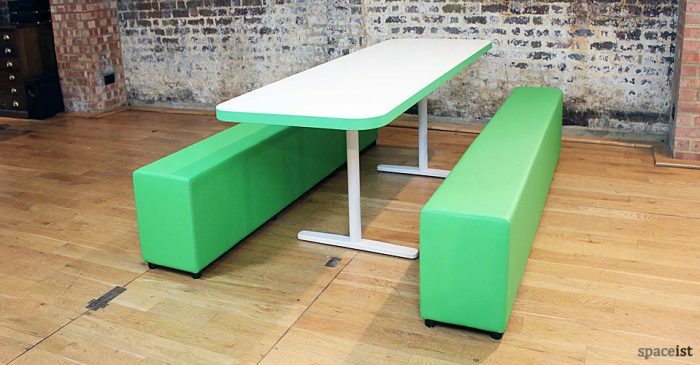 Fun and colourful two person canteen style bench and table set. 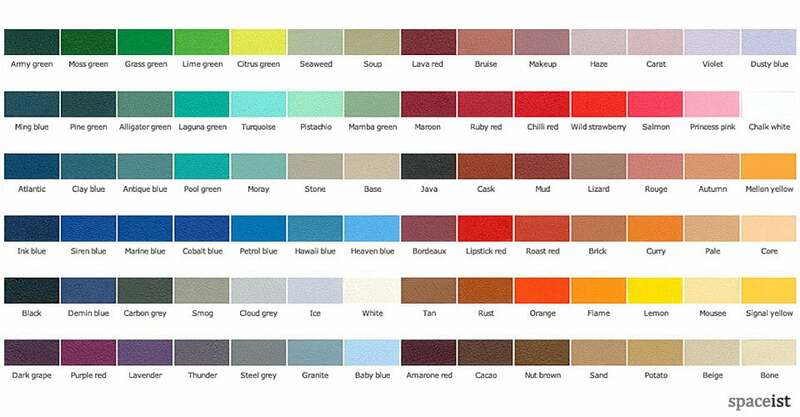 In verdigris, copper brown, cobalt blue, sky blue & white.